If you’re a budget traveler who likes to find and receive free upgrades when you travel on a cruise — or you just like saving money with the latest credit card hacks — listen up. Between credit card rewards and insider cruise tips, you can make the most out of a cruise vacation on a budget. By picking up the right kind of rewards credit card and taking advantage of sign-up bonuses, you can cover a portion of your trip just with rewards. Keep reading to learn about different ways you can reduce, or even cover, the cost of your next cruise. 1. Pick up a cruise line credit card. If you frequently cruise or are planning a cruise this fall for the family, use a cruise line credit card to rack up points you can use toward your cruise. 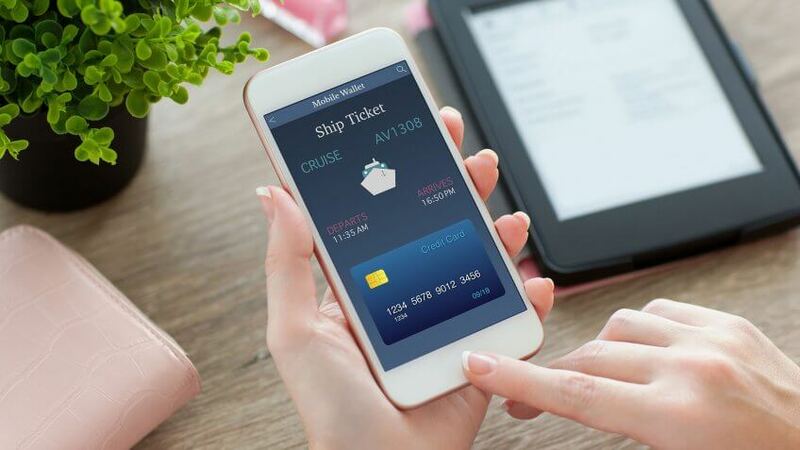 “Some cruise lines have their own credit cards, which also come with sign-up bonuses and/or rewards, and you can become eligible for upgrades,” said David Bakke of Money Crashers. For example, the Royal Caribbean Visa Signature card offers new users 10,000 bonus points, which can be redeemed for a $100 onboard credit. Purchases you make on Royal Caribbean and sister brands also earn you double points. The Princess Cruises Rewards Visa card offers 5,000 bonus points after you use the card for the first time — enough for a $50 credit toward your cruise. Best of all, the card offers double points on Princess purchases and carries no annual fee. 2. Open a rewards credit card with travel redemption. But you don’t need a cruise-line-specific rewards credit card to reduce the cost of your vacation on the water. And travel rewards credit cards allow you to turn regular, everyday purchases into an engine for saving for your next vacation. Just remember to pay your bill in full each month. “The Capital One Venture Rewards credit card has a bonus worth $400 in travel credits once the requirements are met,” said Bakke. That card earns you double miles on every purchase. The Chase Sapphire Preferred card offers 50,000 bonus points once you meet certain requirements, a credit of $625 you can put toward travel. Even better, the card offers 25 percent additional value when you put points toward cruises, airfare, hotels and car rentals. 3. Use your credit card program for free upgrades. Certain credit card programs provide free upgrades on your cruise. Keep in mind these programs might have limits on which cruise lines you can receive added perks. Some credit card companies, like American Express, however, will still offer plenty of options when booking with your rewards card. Bring along or book your cruise with the American Express Platinum card, and you’ll pick up added bonuses on your cruise of five nights or more, such as up to $300 stateroom shipboard credit and bonus points on bookings through American Express Travel. If you’re looking to enter the upper echelon of cruise privileges, consider the World Elite MasterCard. 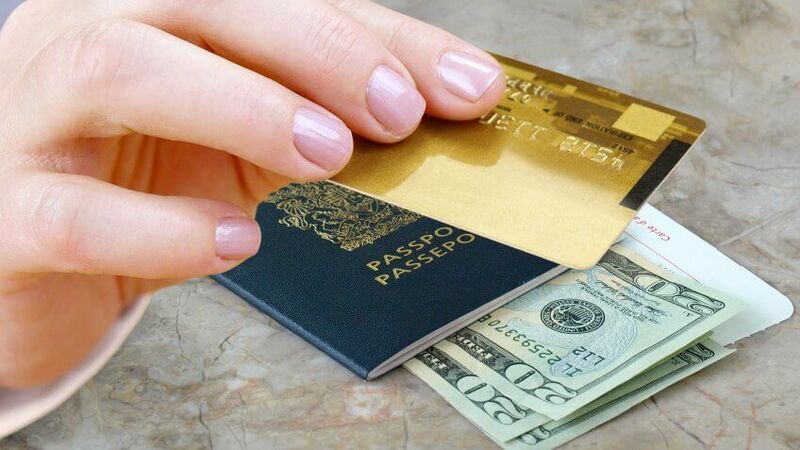 The credit card offers numerous travel incentives. For cruise-takers, the World Elite cruise program offers shipboard credit per person on Royal Caribbean cruises, plus other bonuses. 4. Take a repositioning cruise and fly back on miles. According to Suzanne Wolko, a travel blogger and luxury travel advisor, one of the best ways to save money using a credit card on a cruise is through a repositioning cruise. 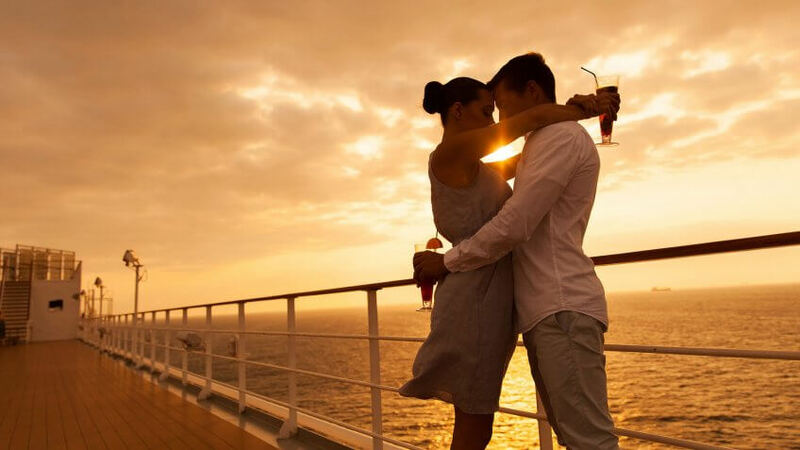 Cruise lines frequently relocate cruises, depending on weather, season and other factors. To cut costs and incentivize travelers, cruise lines sometimes offer one-way routes on repositioning cruises at a discount. Hop onboard one of these cruises, and you can vacation on a budget — just remember to book a one-way flight home using air miles to keep costs down. 5. Pick up zero interest rewards credit cards. 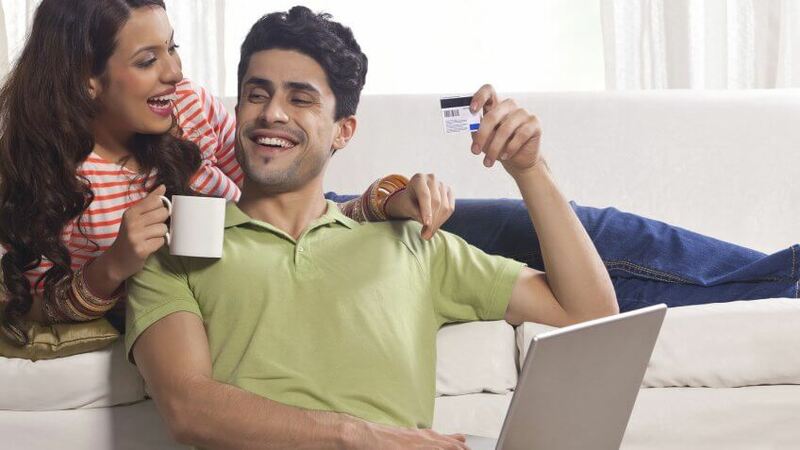 Many credit cards offer 0 percent interest for a year or longer for new customers. This can be an easy way for you to rack up points for rewards you can use on your next vacation. If you save up money every year for the family cruise, instead of booking your cruise or flights using debit, pick up a rewards credit card and charge the total cost of the trip to it. Then, before interest can kick in, pay back the full amount. Not only can you reap the benefits of sign up bonuses, you can earn rewards points for next year’s trip. Even better, if you can comfortably juggle more than one credit card, pick up rewards cards that offer bonus points in different categories. That way, you can always pick up the most points possible on every purchase. Keep in mind that this credit card hack requires you to be diligent about paying back, in full, all your balances — or else you can get stuck paying high interest across multiple cards. 6. Keep an eye out for cards without foreign transaction fees. If you frequently travel overseas and other far-off destinations, foreign transaction fees can eat into bonus points and increase the cost of your vacation. Because different banks have different foreign transaction fees, you’ll need to plan for them accordingly, especially if you typically opt to use your debit card overseas. Of course, if you want to continue earning points, it might be better to simply use a credit card with no foreign transaction fees. Credit cards like the Quicksilver From Capital One card won’t charge you for transactions made outside the U.S. This card also offers 1.5 percent cash back on purchases, plus complimentary upgrades and other perks. Which Credit Cards Do Oprah, Warren Buffett and Kim Kardashian Use? 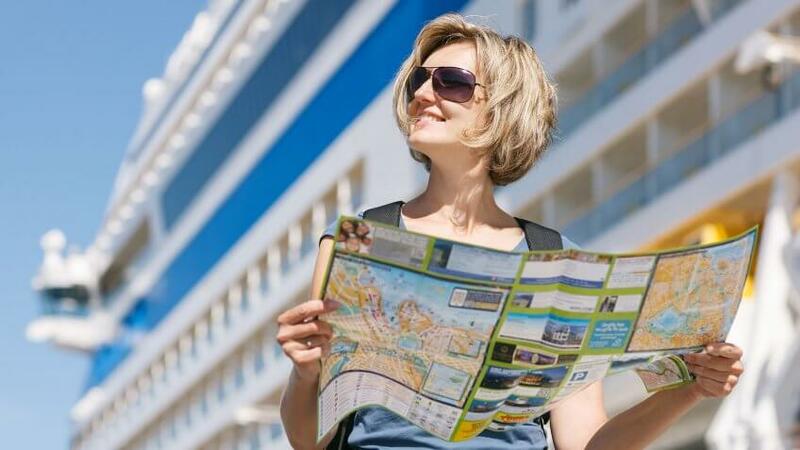 Planning your maiden voyage on a cruise line? Discover expert tips for saving before you book the trip.